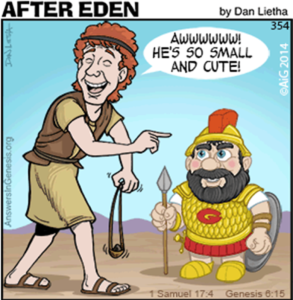 (KJB) 1 Sam 17:4 And there went out a champion out of the camp of the Philistines, named Goliath, of Gath, whose height was six cubits and a span. 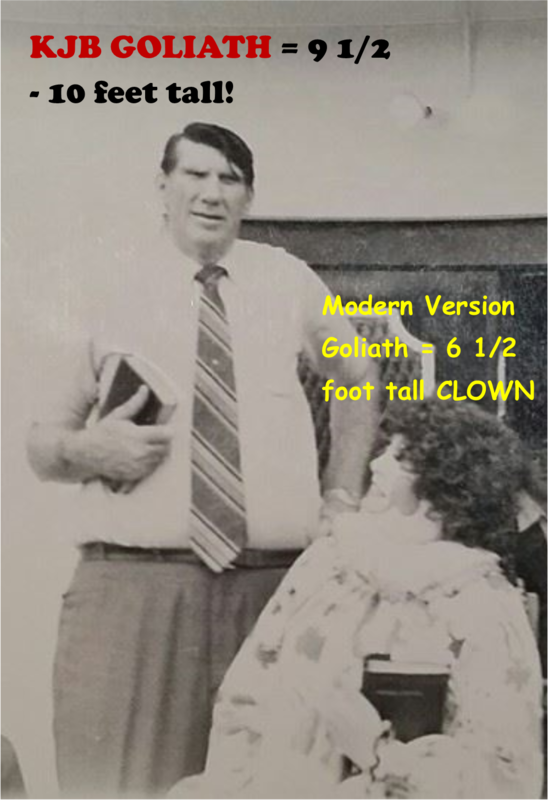 (LXX) 1 Sam 17:4 And there went out a champion out of the camp of the Philistines, named Goliath, of Gath, whose height was four cubits and a span. A cubit is about 18 inches, so the KJB Goliath would be close to 10 feet tall, while the LXX Goliath would be only 6 1/2 feet tall, hardly a giant. The LXX, particularly Vaticanus, is the manuscript the modern versions most rely on. However, here they abandoned their own claimed “oldest and best” manuscript. They realize how obviously ridiculous it would appear in their English translations. Nut it shows the character of the manuscripts the modern versions relied on.